Most peculiarly, the Bangor Daily News reported that a rash of various animal body parts and animal home invasions peppered the Hancock area the other week. Even more oddly, it all seemed to be the result of perfectly natural animal behavior. 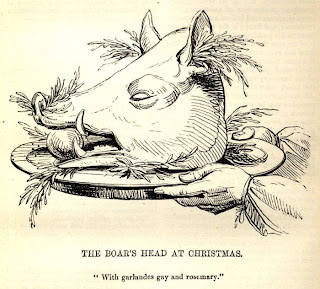 Shown here is a more traditional "with garland" version of a boar's head, as opposed to the more contemporary "at the end of the driveway" Maine version. BAR HARBOR, Maine - A wild boar's head was found Monday in the driveway of a local home, but at this point there is no reason to think there is anything suspicious or criminal about the incident, according to police. A woman returned to her home on Sand Point Road around noon Monday to find the severed head in her driveway, Officer Thom Tardiff said Tuesday. The head seemed to be the result of a recent kill, he said. The woman is a dog sitter and speculated that one of the dogs she is taking care of may have found the head somewhere and dragged it into the driveway, the officer said. He said the woman had the head moved into the nearby woods. "Hopefully, it’s the last boar head I see in the near future," he said. It’s not the only strange animal incident Tardiff has dealt with this week. The officer also received a report of a severed deer leg found March 12 on Route 3 between Champlain and Dorr mountains. The leg bore old wounds, he said, and could have been severed when the deer was hit by a vehicle. No three-legged deer was found at the scene. Also on March 12, Tardiff received a complaint about a basement being trashed in a home on Barberry Lane. Someone or something broke in through a window, knocked over furniture and tore down exposed insulation, but did not go through any unlocked doors, he said. A basement door that leads outside had been forced outward, bending a bolt that had held it shut. Based on the damage and the apparent path the invader took in getting into and out of the basement, Tardiff said, it appeared a bear was to blame, though there was no sign of claw marks or bear tracks in or outside the home. "It was very odd," the officer said. Strange Maine readers who enjoy the company of the good old wireless- be it a high-tech receiver or an old vacuum-tube antique, can tune in to Portland-based WLOB on Sunday evenings and listen to radio dramas and the Twilight Zone. The frequencies are AM 1310, or 96.3 FM, and the entertainment begins at 6pm with the Twilight Zone, and continues with a variety of classic programs (including The Green Hornet, for example) and concludes at 11pm with another one-hour Twilight Zone episode. Great listening for the living room or the front yard- and the price is right! 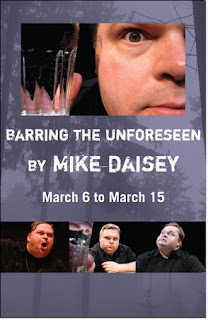 Stuck inside because of the mile-wide swath of mud and ice outside your house? Dying for some entertainment to kill a few minutes? Look no further! Inspired by a recent Maine Sunday Telegram article, the blog Blissful Days has put together a fine assortment of video samples of ingenious Maine sports, including the fine pursuit of Pumpkin Boats, as previously reported here in our post Enormous Pumpkin Demands Motor. I wonder if these boys are going to take up their father's trade of reporting after this early start to their investigative careers? See link below story for the latest. FOUND BODY: Jake Hickey, left, and his brother, Ben, of Watervillle speak on Sunday about finding the body of a male down by the Kennebec River behind the Morning Sentinel building off Front Street. The teenagers were down by the river while waiting for their father, reporter Colin Hickey, inside the building. Police officers, from left, William Bonney, Tim Hinton, Chief Joe Massey and Kris Mckenna wait for state police investigators in the back parking lot. "We are treating it as a suspicious death," said Gould late Sunday night after the body was recovered. The body, that of a white male with short dark hair, was about 20 feet down a steep embankment that ends at the Kennebec River. It was between 5 and 10 feet from the river, near a platform that juts out from the bank. It was lying face down on top of the snow, clothed in blue jeans but naked from the waist up. Blood was clearly visible on the upper part of the back. One arm was folded under the corpse. Waterville police strung yellow crime scene tape over a section of the river bank about 100 yards long Sunday night, as they waited for state police and a representative of the chief medical examiner's office. At about 8 p.m., a hearse from Gallant Funeral Home arrived, and police used a section of rope to pull the body, encased in blue plastic, up the embankment. The body was discovered by two brothers who were waiting in the parking lot for their father, a Morning Sentinel reporter. Ben and Jake Hickey, the children of reporter Colin Hickey, discovered the remains at about 5 p.m. Ben, 17, said he and his brother had planned to climb down the bank to watch the fast-flowing river, but got no further than the top of a snow bank. Jake, 14, was the first to see it. "I said, 'Oh my God, is that a dead body?'" said Jake Hickey. He then ran into the Sentinel and told his father. Matt DiFilippo, a sports reporter, said the boy seemed shaken after running up the stairs. Leaving the office with the boys and their father, DiFilippo saw the corpse and ran across the street to the police station to report it to a dispatcher. "He said 'Are you sure it is not a mannequin?'" said DiFilippo. "I said 'No, I don't think so, there is blood on his back,'" said DiFilippo. Follow-up article: Death not suspicious? OOOOOOOOOoooo, who could do this to someone?! Mean, mean, mean, and so close to Easter, too. I bet it set the bunny's egg production back at a terrible rate. "The 17-year old, who's being held at the Long Creek Youth Development Center, is accused of breaking into another teen's apartment and stealing the gray pygmy rabbit. Police say he then telephoned the rabbit's owner demanding repayment of a $100 debt or else the rabbit would be hurt. Police Lt. Tony Ward says officers recovered the rabbit in good condition. They charged the 17-year-old with burglary and theft in connection with the break-in." Read full story here at Seacoast Online. The final talk in the Spirits Alive winter lecture series is on March 29th! WHAT: Earle G.Shettleworth, Jr., State Historic Preservation Commission Director will be presenting, "The Day Portland Burned: July 4, 1866." This illustrated lecture is free and open to the public. A brief Q&A will follow. Beverages will be available for purchase. Donations to Spirits Alive are always appreciated. Notable for being the worst urban fire of its time in the United States, The Great Fire struck just as Portland was recovering from its active role in the Civil War. Within 24 hours, the center of the peninsula lay in ruins with 10,000 people left homeless. It was estimated that there was over $12 million in damage. Even the Eastern Cemetery was affected as the inferno swept up Munjoy Hill. True to its motto "Resurgam", the city quickly rebounded by constructing a Grand Victorian business district and establishing new residential neighborhoods on the east and west ends of the peninsula. The lecture traces the dramatic destruction and rebirth of a great American city. A Portland native, Earle G. Shettleworth, Jr. attended Deering High School, Colby College and Boston University. At the age of thirteen he became interested in historic preservation through the destruction of Portland's Union Station in 1961. In 1971 he was appointed by Governor Curtis to serve on the board of the Maine Historic Preservation Commission, for which he became architectural historian in 1973 and director in 1976. Shettleworth has lectured and written extensively on Maine history and architecture, his most recent publication being Portland in the Arcadia postcard series. He currently serves as chair of the Capitol Planning Commission, the Blaine House Commission, and the State House and Capitol Park Commission. In March 2004, Governor Baldacci appointed Mr. Shettleworth as State Historian. VOTE NOW! We're up for a Best of Portland award! 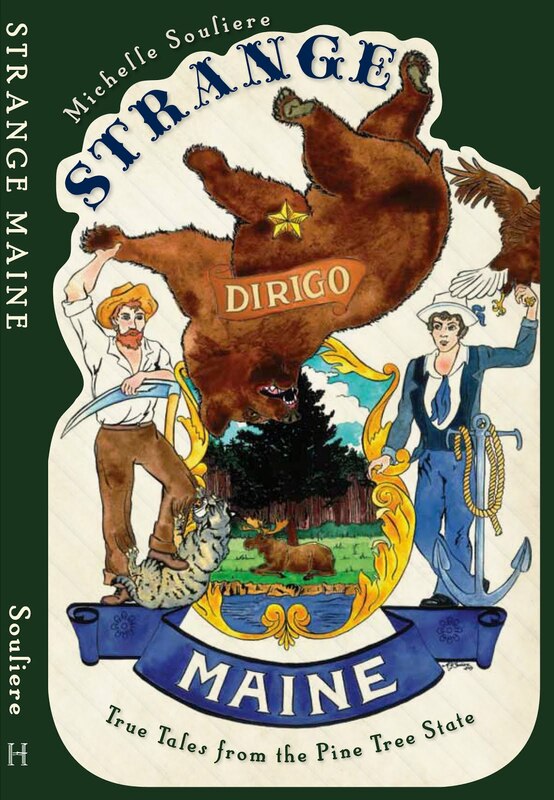 I was just informed that the Strange Maine blog has been nominated for inclusion in the Portland Phoenix's Best of Portland poll, under the Blog/Podcast category! Wheeee! Click here to see the contenders and VOTE NOW!!! And while you're at it, please note that Emptyhouse Films is up for best filmmaker, and it wouldn't hurt to fix up the Portland Author category by writing in Loren Coleman. Seriously, I don't think Carolyn Chute lives in Portland. Am I wrong? This sounds like a real treat -- I'll be going myself tomorrow night to check it out! Woven together from Maine ghost stories, the history of 19th century spiritualism, H.P. Lovecraft, and the unspeakable dread lurking under your bed, Barring the Unforeseen explores why we tell ghost stories, and the precious, terrifying gifts they bring us. Visit play's website here. Well, it's been a great week in Strange Maine land, with some stand-out talks by local experts, from historical mill girl murders to monsters in our midst! First we had Loren Coleman giving a great presentation at both the Belfast Library (Monday, read a terrific article about it on Cryptomundo) and the Portland Public Library (Wednesday), which resulted in an article on the Portland Phoenix's website, titled "Have You Ever Seen the Maine Mutant?" I had the great pleasure of introducing Loren to the noontime crowd which attended the Portland Public Library talk. He gave a terrific overview of the current state of the cryptozoological field, as well as filling in the history for those curious souls in the audience who have yet to explore that field. His presentation include a wealth of pop-culture artifact examples, and plenty of intriguing slide imagery not often seen by the public. I was curious to find out what he viewed as being the most important Maine cryptid sightings. On his list are, among others, the sightings of the Casco Bay sea serpent, a.k.a. Cassie, and the Specter Moose, which I and others have pondered over the last couple of years. Second, Elizabeth De Wolfe gave a lively talk about her recent book, The Murder of Mary Bean and Other Stories, which is also the topic of a current exhibit at the Saco Museum put together by a very talented group. De Wolfe read and illustrated excerpts from the book, summarizing the sensational case, and enthusiastically answered a round of detailed questions in the intense question and answer session held following the reading. Great stuff! 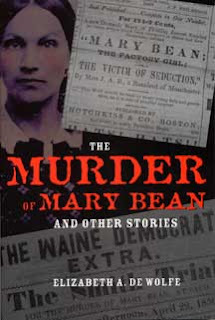 The Saco Museum exhibit is titled Murder, Mystery & the Mills: The Story of Mary Bean, and it is open from Feb. 28 - May 25, 2008. We strongly recommend you both read the book and see the exhibit! The hours of the museum are Tue., Wed., Fri. Sat: 12 - 4 p.m., and Thur. : 12 - 8 p.m. Admission varies for adults ($4), seniors ($3), students/children ($2), but best of all, supervised children under 6 are FREE, and there is universal Free Admission on Thursdays from 4 - 8 p.m.
"Mainers and Their Neighbors Who Went Out into the World"
--where we look at the stories of Northern New England and Maritime people who ventured beyond the region's boundaries. Some, like the Washburn family of Livermore, Maine, found fame and fortune. Most went voluntarily. Many did interesting things. The conference is sponsored by the WASHBURN HUMANITIES CENTER in association with the University of Maine at Farmington and St. Michael's College, Vermont. With this year's broad theme we are seeking the participation of both professional and lay scholars and students from across the spectrum of academic disciplines. We encourage proposals from new presenters; presenters from previous conferences are encouraged to return, present a paper, and meet old friends. Previously published material should not be submitted. Presenters are given two nights lodging and breakfasts free of charge at local homes. The conference will be held at the Washburn-Norlands Living History Center, a 445 acre site containing a restored one room school house, farmer's cottage, 1885 granite library (housing the extensive Washburn family collections), a 200 seat 1828 Universalist Church, and the 1867 Washburn mansion. A front-page story in today's Lewiston Sun Journal on "Weird Maine inventions" seems oddly familiar, right down to the illustrations used and examples chosen. There are some differences, though. I wrote that "no fewer than six patents for cow-tail holders were issued between 1890 and 1936." She was able to find "No fewer than seven cow-tail holders" patented between 1889 to 1936. That's why I'll never be a professional journalist. On a snowy day, please allow me to mull some things over online for the rest of you to read. Sitting here in Portland as the storm seems to be winding down, I've been reading through Alton Blackington's Yankee Yarns. While some of the stories are whimsical, others follow tragedies that seem far away and unlikely to happen again in this day and age. Mixed in with these accounts are an element that also seems to have gone from our world -- the real reporter, who from the look of things, is all but gone from the modern world, leaving few successors to that mantle of honor. Illustration from Allie Ryan collection, Maine State Museum, as found on the very interesting site Hunting New England Shipwrecks. What do I mean by a "real reporter"? I mean someone who digs for a story, someone who tells what's really going on. Someone who is not just a complicit party to the selling of ad space. Someone who walks up to another human being, shakes their hand, and finds out what is really going on. Beyond that, a real reporter is someone who takes a risk when that sixth sense, the sense that tells you a story is there, kicks in. Let me tell you about some of the reporters who caused this little mulling session this morning. The whole episode you see before you is mostly the fault of Blackington's chapter on the sinking of the steamer Portland, lost with all hands off the coast of Massachusetts on her way back to Portland's harbor in the middle of the Thanksgiving weekend storm of 1898. I am not going to recount that tragedy, in which 176 souls were lost, for many before me have this sombre job already. Instead, I am going to mention a few stalwart men who were charged with telling the world what had happened, and did this and more. Charles Ward, the Chatham reporter for the Boston Herald, slogged on foot and by horse for miles through flooded railroad tracks and more to eventually deliver the verified news of the Portland's terrible doom to the Herald's office in Boston, because the telegraph lines, like the rail lines, were torn apart in the storm. His determined effort resulted in the headline you see here. 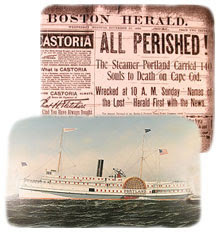 Frank P. Sibley, a young man of 26 years and just starting his as-yet-part-time career at the Boston Journal, was set the task of getting the first list of those who had perished on board the Portland, a list which this early in the sequence of events was thought to be much shorter than it turned out to be. He found himself in the India Wharf office of the Portland Steam Packet company, which was "jammed with anxious people, all asking about the missing steamer and its passengers." A single company bookkeeper was keeping watch behind the counter, answering the phone and giving answers as well as he could to every soul that walked through the door looking for news of their relatives. The passenger list was not on hand -- Sibley was told that it was on board the boat itself. Instead of walking out of the door emptyhanded, he offered his assistance to the exhausted clerk, and entering the ticket booth, sat down with notebook and calm voice to answer the ever-ringing phone, taking name and address of each caller as well as the name of the passenger they were inquiring after. With this he got the first list of passengers -- a bare start of thirty names, but more than anyone else had managed, which was delivered by runner to the Journal -- while at the same time stepping in where help was needed. Frank Stanyan was working for the Boston Globe on that fateful weekend, and was sent by the city editor along with a sketch artist to Cape Cod, where in Orleans they set up base with the rest of the press corps. Stanyan, along with others like Dr. Samuel T. Davis, who was in charge of identifying the victims, spent the next two days trudging up and down the desolate coast of Nauset Beach, "where for miles wreckage had been hurled ashore, in some places ten feet high." Working amidst beachcombers who were hauling away the ship's broken timbers and metalwork, as well as other salvage items, from tubs of butter to bolts of cloth, as the waves tossed them up onto the beach, Stanyan struggled to retrieve any items or remains from the flotsam that would help identify the victims of the wreck, who were body by body rolling in with the breakers as the days wore on. After two days another storm threatened to roll in, and Stanyan, discouraged and weary, packed his notebook away in his pocket and headed back the miles to Orleans, where his reporter brethren were tucked in against the cold. On arriving, he was told by his fellows that the wires were down, and his terrible labor in retrieving the victims' names would have to sit heavy in his pocket until line repairs were made the next day. Unsettled, he roamed out of the hotel, and following the lights of a small building through the snow, thought he heard the click of a telegraph key from outside the edifice. Poking his head in, he found the Cape Cod end of the French Cable Station, where a young clerk was working late sending signals under the ocean to France, many miles away. And so, as the snow comes down outside, and I am snug in my modern-day livingroom with my laptop and this good book, I feel like there should still be room in the world for people such as this, people who will hunt a story and help the people in it as they go. As a sidenote, in September of 2003, the more-than-century-old wreck of the Portland was explored and documented. You can read about it, and see lots of images, too, on the NOAA's Steamship Portland Exploration site. Boston headline image (above) from NOAA's site.